Do not expect much since this mod's purpose is to replace the Blizzard's main unit frames, not other unit frame mods. I'll most likely deny requests to copy random features. 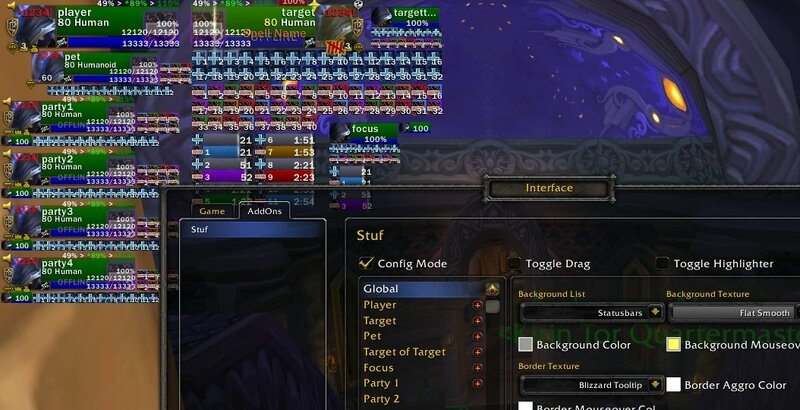 Hide party in raid - Stuf obeys Blizzard's option to "Hide Party Interface in Raid"
You cannot right-click Stuf's player buff icon to cancel shape-shift forms (ie. druid forms and shadow form) since they're protected now. You cannot select "Set Focus" from the right-click menu. Make a "/focus" macro instead. - fix count text not showing up on "Curable Debuff Icon"
- "Dispel Icon" is now labeled as "Curable Debuff Icon"
I've been having inconsistent health updates when it comes to my frame and ally's frame. Sometimes i'll take a brez and remain "dead" on my frame, sometimes when I heal an ally their health doesn't budge on stuf's frame but does in the defailt raid frames. I think this has been happening since 8.1. I experienced the same error, but turning on Fast Health Updates fixed this so far. I have also been getting that. But as far as I can tell it's random when it happens. Gonna try out that 'fast health updates' to see if that fixes it. And one more thing, regarding my earlier post about having problems with the "out of range alpha" It only occurs on my priest, not my mage or warrior. Has anyone using Stuf been having ERROR #132 wow crashes lately (since patch 8.1)? I'm only using a few addons in raid to try to diagnose the source of the problem, but something seems to be causing a crash every ~90 minutes of raiding and I haven't quite figured out what's causing it yet. 1. 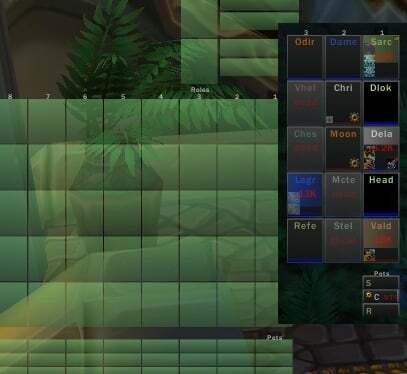 Is it possible to show player in party frames? 2. 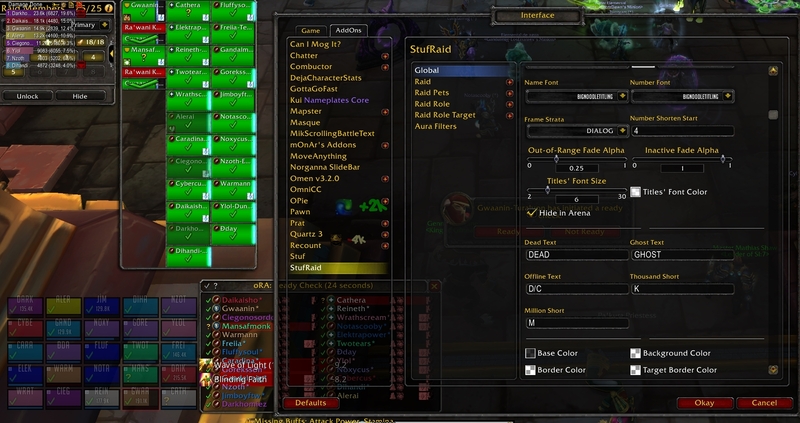 Can I hide the default Blizzard raid frames with StufRaid? I would like to use only stufui party frames. 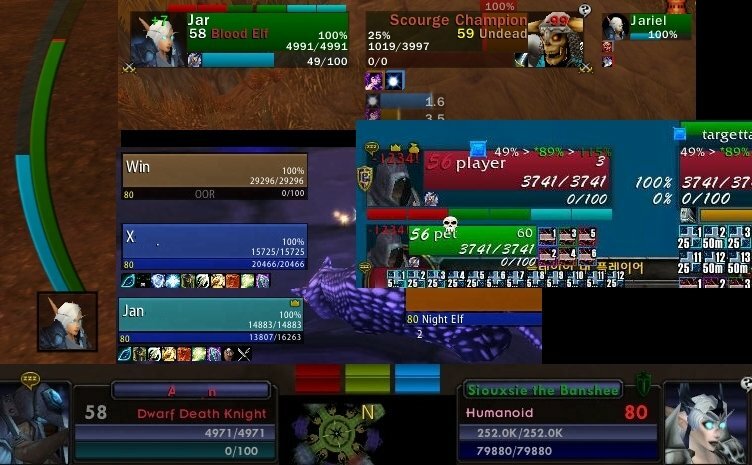 Is it possible to enable show default blizzard frames for target, player, focus, arena etc. ? I can't find this option in the settings. 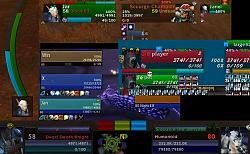 Anyway to get the text tags to show the alternate mana bar instead of the normal power bar? Like [percmp] but for alternate ? I've been looking for this, but so far have been unable to find it (if it even exists). I'm making good use of this great add-on. By the way, is it right that there is no absorption marking? I've updated my earlier post to (i believe) fix the auras error, at least for target unit frames. Any ETA? Anything we can do to help support the update of the addon? 7-zip can't open the rar file any one else having that issue? Last edited by EGsynergy : 07-20-18 at 03:53 PM. I had no issues opening mine, maybe use another software.